The Suzuki Burgman Street shares most of its internal with the Access 125, that's, however, is not the case with the design. The Suzuki Access sports a more conventional design, with more angular lines and a large handle mounted headlamp with chrome housing. Meanwhile, the Suzuki Burgman Street borrows inspiration from its elder sibling, the Burgman 650 Maxi scooter. While the Burgman Street may not be an out and about Maxi scooter, it's the next closest thing. As opposed to the Access, the Burgman is a bit longer and lower, which helps it giving in a very distinctive stance. Of course, the Burgman 650 inspiration is seen everywhere, especially at the front with its protruding indicators and a fly screen. In short, it looks nothing like it's 125cc sibling. For the additional money, Suzuki offers couple of nifty features. This includes a fully-digital instrument console, which is borrowed straight from the Gixxer. Although, it being a scooter, the display only features essential readouts like fuel range, speed and time. Then there are also the LED head and tail lamps, which provide decent performance during night time. In addition to this, the Burgman Street also gets a generous amount of storage (21.5-litres), both under the seat and at the front glove box (1-litre). However, we do think the underseat storage light should’ve been provided. Let’s get the numbers out. 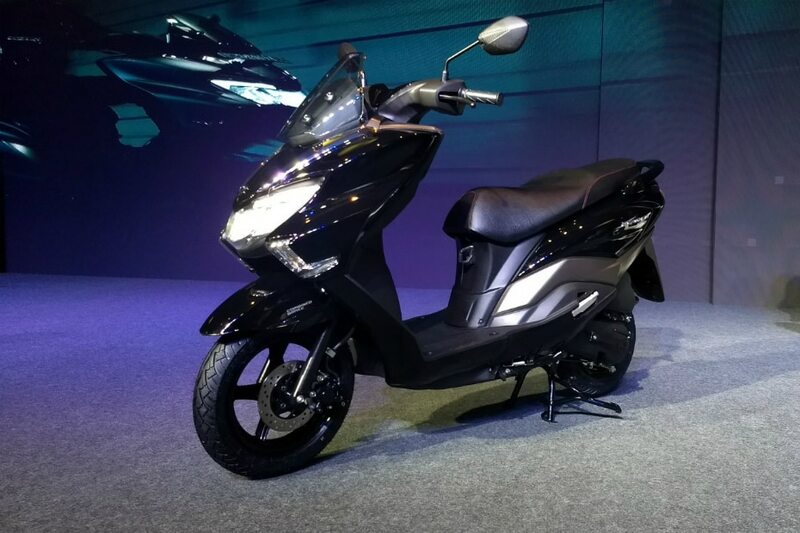 Both the Access and the Burgman Street is powered by the same 124cc single-cylinder SOHC 2-valve motor, which generates 8.7PS at 7000rpm and 10.2Nm at 5000rpm. Although, surprisingly in our road test review we found the Burgman’s engine to be more refined. The mid range grunt of the Access is missing here, as the Burgman delivers the power more linearly than its sibling. Also missing is the gruffness one associates with the Access. We found the Burgman offering a much smoother rider. Also, a big surprise were the efficiency figures. The Burgman Street is actually more practical than the Access, with a tested mileage of 54.9kmpl on the city and 52.7kmpl on the highway. In comparison, the Access offers a fuel efficency of 51.3kmpl and 52.7kmpl respectively.